Email May we Help You? 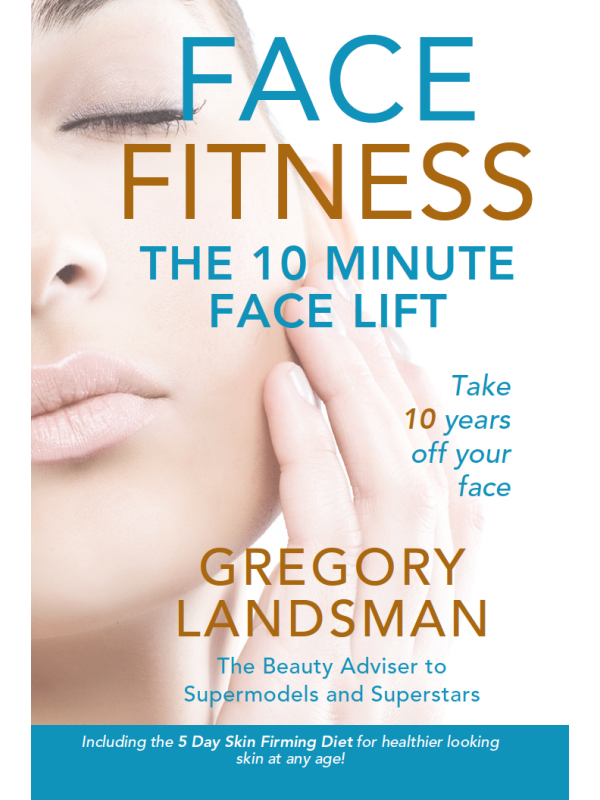 Best selling author Gregory Landsman show us how to take 10 years off the face in just 10 minutes! FACE FITNESS is the answer to getting the same results as a surgical face lift, 100% naturally at no cost! It is the safe, natural and free way to look younger at any age! Gregory Landsman shows us how to take 10 years off the face naturally. Find out how to ‘rub out wrinkles’ on the face, cook your way to beautiful skin or tighten cheeks and soften lines around the lips using only air in the mouth. Including the 5 Day Skin Firming Diet for healthier looking skin at any age! FACE FITNESS techniques will also improve collagen production naturally, increase skin moisture levels, reduce pore size and smooth out the texture of your skin. Based on ancient knowledge from Indian sages, these powerful techniques have been adapted by Gregory Landsman for today’s Supermodels, Superwomen and Supermums. QUICK, EASY and EFFECTIVE – all it takes is 10 minutes per day to a younger, healthier looking face. GREGORY LANDSMAN SAYS EVERYTHING WE DO ON A DAILY BASIS IMPACTS THE QUALITY OF OUR SKIN! The mission of the GL SKINFIT INSTITUTE® is to support people with information and products so they can look younger, feel younger and stay younger naturally, while feeling good in their skin. Our vision is a world where differences are not merely tolerated but embraced and celebrated. We promote and uphold the values of inclusion, diversity, individuality, respect, kindness, compassion, collaboration, acceptance and self discovery.